Place everything in a food processor and process until combined. Season with salt and pepper to taste. Refrigerate for 1 hour to 1 day; this is best made ahead of time. Serve with your favorite veggies. This looks delicious, Lindsay! 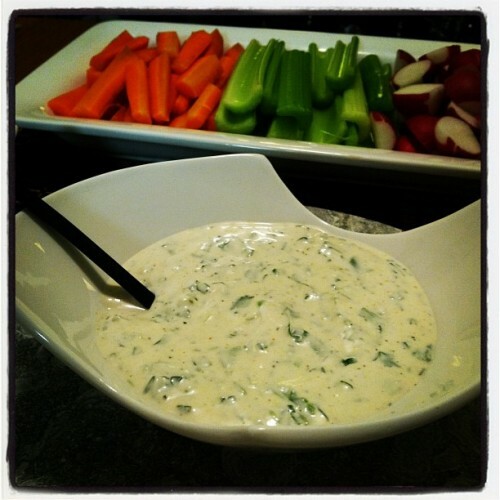 Perfect dip for a party or just people coming over to the house. It’s similar to a ranch I make, but I like the addition of white wine vinegar and cayenne. I’ll have to give this a try!